Eighty-one years ago today, Australia’s wonder horse, Phar Lap, died mysteriously at only five years of age. At the time, Phar Lap was the third highest stakes winner in the world. Anyone who has been to the Melbourne Museum has seen Phar Lap, preserved by the brilliance of taxidermy for everyone to be able to behold this hero. And anyone who has been to the National Museum in Canberra has been able to view Phar Lap’s heart — a heart that is almost double the normal size of a horse’s heart. His skeleton is apparently on show in a museum in New Zealand. He was a horse that came from New Zealand, and brought for a bargain at 160 guineas, although when the new owner and trainer saw him, they were disappointed. Phar Lap did not look like much. The trainer, Harry Telford, worked with him anyway and although Phar Lap did not win his first race, he quickly began to slide up the ranks of winners. Phar Lap won 37 out of 51 races over his four-year career. His name was derived from a Zhuang and Thai word for lightning — an appropriate name, I think. When he died so suddenly, it was immediately thought he was poisoned. However it has only recently been proven that Phar Lap was given a large dose of arsenic thirty to forty hours before he died. There was never enough evidence to charge anybody, but it is fairly obvious that the motive had to do with money. 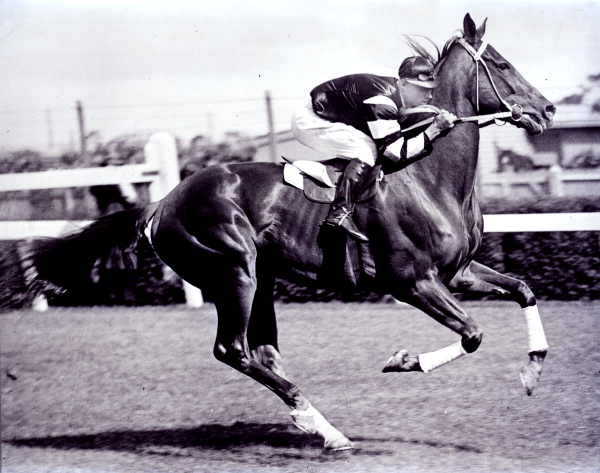 Phar Lap was a remarkable horse that has gone down in history as one of Australia’s favourites. Have you visited Phar Lap in any of the museums mentioned above? What did you think? Wonder if Black Caviar will be talked about 81 years from today?